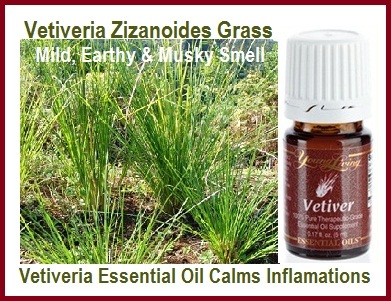 Vetiver is very grounding, and particularly balancing when feeling spacey after long sessions in front of a screen. Vetiver was studied by Dr. Terry Friedmann for improving children’s behavior. Vetiver may help when coping with stress and to recover from emotional trauma and shock. The very soothing and cooling effects of this essential oil calms and pacifies inflammation. It is particularly good at providing relief from inflammation in both the circulatory and nervous system. A few drops applied to your belly button at night with help you from taking on too much of other people’s junk. Importantly, Vetiver helps bring Chakras into alignment.